I am always amazed at the number of people I meet who self-identify as writers and who subsequently register shock when I ask them what kind of instruction they have had or what books they have read on the subject. The very notion that someone who sets out to write a book would deign to seek guidance seems to be an affront to many. Perplexing. What other profession or vocation would someone undertake without any instruction or training? But many writer wannabes seem to think that they are naturally imbued with what it takes to bang together a sellable book. Many of these individuals may well have good writing skills. But to think that you naturally possess the knowledge of character development, narrative, dialogue and numerous other aspects is a grand delusion for the majority of novice writers. On the other hand, some writers devour all the books on writing that they can lay their hands on. There must be a happy medium in there somewhere. Reading a book on writing does not mean that you will necessarily alter all your habits and and adopt all its recommendations. But I have no doubt that if you read some good books on improving your writing, you will pick up some incredibly useful advice. Plenty of excellent "how to write" books exist, for both fiction and non-fiction. I have compiled a list of the ones that I believe are the best. I have discovered something interesting as I have read these kinds of books over the years. While many of the authors have been published many times over and have made a comfortable living as writers, I have found that the superstar, bestselling authors with whom most are very familiar are not the ones who write the best writing books. The oldest book on this list and in my opinion the best. A comprehensive look at all facets of fiction writing, Techniques of the Selling Writer is rammed full of practical advice. While many books about writing are good for their inspiration and overview of things that can help you, this book gets into real, step-by-step instructions on how to write fiction. In fact, it is so granular at times that it may be too much for those who already have developed their own approach to writing. Swain covers the motivation and inspiration side of things as well. For example, he discusses at length that oft-repeated sentiment that you should write what you know, and in particular, explore those emotions and ideas that intrigue you the most. He does it in such a concise and convincing way that you wonder how you could ever set out to write what you think you are supposed to write instead of writing about that which truly interests you. Yet so many writers do just that and tackle what they think is subject matter appropriate for a novel. Won't exercises give the same result less painfully? Regrettably, no; at least, not in my experience. The man who cottons to exercises generally isn't cut out to be a fiction writer. He's certainty-oriented; reaching out for a sure thing. Most potentially successful writers have little patience with such. They're too eager to get on with their own stories; too intoxicated with their own euphoria; too excited over their ideas. Exercises excite no one. Palpably artificial, only tenuously related to the difficulties that beset you, they turn writing into drudgery for anyone. Never once have I been motivated to perform the end-of-chapter exercises provided in some books. Practice implementing suggestions in my own writing? Sure. But exercises make my eyes glaze over. Then again, some people may like writing exercises, and some of the other books listed below satisfy that need. 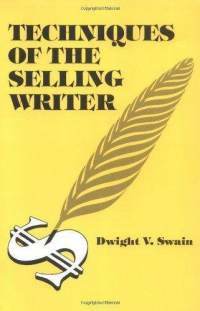 Techniques of the Selling Writer is so good that you may even find out something about yourself. As the author asks the reader, what is good fiction but insight into the character of human beings? 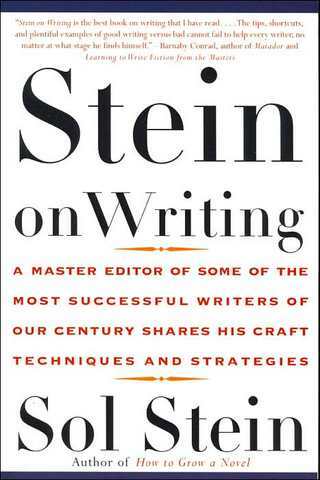 Stein on Writing is one of the most popular books on how to write and for good reason. A plethora of insight is contained here that will make you look at your own writing in a completely different light. 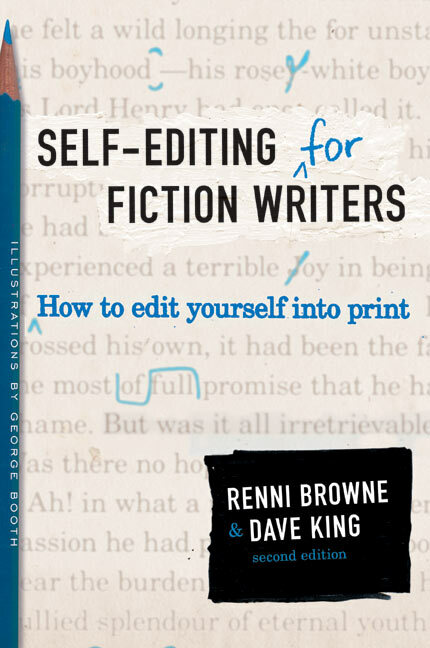 While the book focuses on fiction, it also provides many sections and loads of great advice on writing non-fiction. Stein makes the point numerous times that people's tastes have evolved over the years and readers now demand to be instantly entertained and have very short attention spans when they decide whether or not to keep reading. In one passage, he talks about the difference between description, narrative summary, and immediate scene, and why, especially in this day and age, you will want to focus on immediate scene. An immediate scene happens in front of the reader, is visible, and therefore filmable That’s an important test. If you can’t film a scene, it is not immediate. Theater, a truly durable art, consists almost entirely of immediate scenes. As with all of the very best writing books, Stein on Writing devotes a good portion of its advice on how to create interesting characters. Stein provides some absolutely great advice on how to introduce each character through interaction with minor characters, how to delve further into your character when you find that you are lacking the knowledge of him or her to complete a scene, and other practical tips. Anyone who has written seriously knows that the difference between garbage and quality is in constant re-writing and editing your own work. Self-editing for Fiction Writers provides you with an extremely knowledgeable and accurate lens through which to edit and improve your writing. The chapters on writing and improving dialogue are the best I have ever read. The comments regarding “on-the-nose” dialogue versus dialogue with subtext should be studied carefully by every novice writer who has vomited forth awkward and embarrassing lines of dialogue. Great chapter as well on the different types of point of view and how to choose which one suits you best and which character you should use for the viewpoint character. The authors are experienced editors of numerous published novels and include many real examples of work they improved. I found this extremely helpful. When an author includes his own examples, they tend to be contrived and the “problems” evident in passages written solely to demonstrate a point just don’t work as well. After reading this book, you will probably never read fiction books again without quickly identifying the elements that are highlighted by author James N. Frey. From the “every protagonist is the best at whatever he or she does,” to a discussion on how to choose a viewpoint, How to Write a Damn Good Novel breaks things down in an entertaining and easy-to-follow way. The book also provides many practical ways to create your characters and plan your plot before you actually get down to writing. Well, you are writing when you plan, but as Frey points out, just diving in without any sense of where you’re going is almost a sure-fire way to splutter out at 10,000 words or so. If you do a thorough job on your biographies you will know your characters well—at least as well as you know your brother, sister, or best friend—before you begin your novel. It is not possible to make a list of all the elements that should be included in these biographical sketches. You should include any detail that affects the motivations and actions of the character. Include anything that influences his relationships, habits, goals, beliefs, superstitions, moral judgments, obsessions, and so on—all the factors that govern choices and behavior. 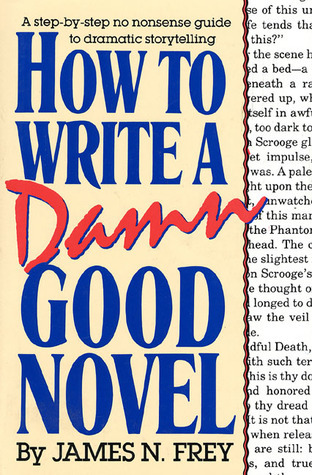 Frey also wrote a good follow-up called How to Write a Damn Good Novel II that is worth a look as well. It picks up where the original left off and provides more great insight into writing fiction. While Frey does repeat many of the ideas he discussed in the first book, he expands and adds more helpful information as well. 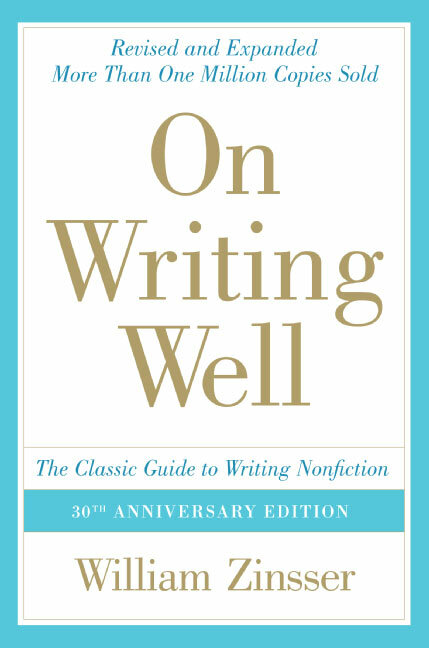 A superbly written book on how to improve your non-fiction writing, On Writing Well is enjoyable to read regardless of whether you plan on taking on board any of the suggestions. An advocate of clear writing and slicing out the clutter long before it was popular, Zinsser presents methods for tightening up your writing and developing your own style. He does not generally include the nuts-and-bolts type of advice that tells you exactly how to craft sentences but instead provides overall strategies that will benefit your writing. Plenty of interesting anecdotes and examples of how not to write well make for an entertaining and helpful read. The concisely written chapters are grouped into four sections: Principles, Methods, Forms, and Attitudes. I go back and occasionally read a chapter or two of Zinsser’s book when I want some inspiration and to jog my memory regarding some of his great insight. As with all of the books listed here, On Writing Well gains credibility because of the fact that Zinsser himself is such a superb writer. 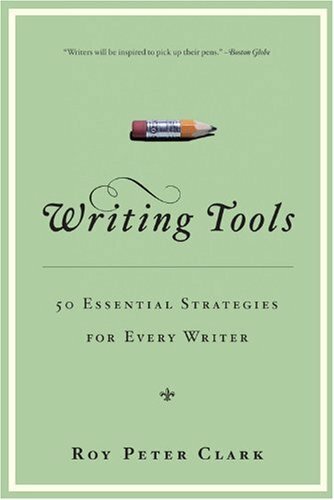 This compact book is one of the most practical guides for quickly improving your writing that I have ever encountered. Most of the tools listed here are described in two pages or so. To-the-point, concrete and easy to implement tools that without a doubt, will improve your writing. The advice in here ranges from sentence construction to ways to develop your own style to habits that will make your writing more engaging. Writing Tool #7: Dig for the Concrete and Specific is an example of a simple way to improve your writing. While the book is aimed at non-fiction writers, I believe that fiction writers would also benefit from reading this book. Absolutely no filler in this one. I constantly refer back to this book when I feel that I have let my writing stagnate or regress. Highly recommended. OK, this isn’t strictly a book on writing. However, I have included it here because it is a very good motivational book for artists of all types. And, the author is a writer so many of his references are in relation to writing. 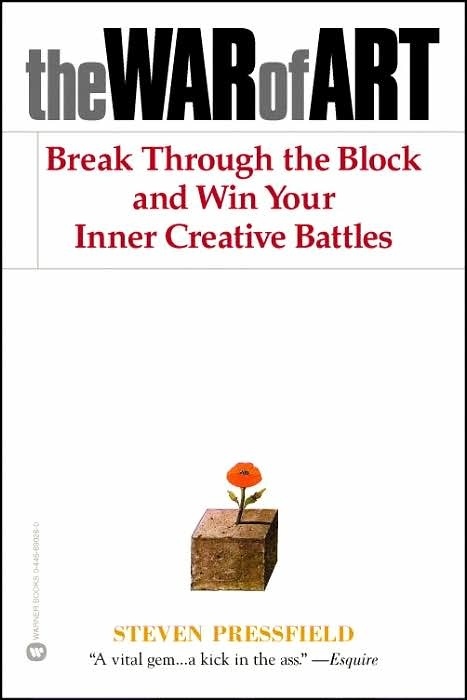 The early part of this book and its focus on resistance is one of the best extended pieces I have ever read on overcoming obstacles and creating art. He also hammers away at the notion that serious artists are the ones who put in the hours every day and know the value of hard work. Hardly an original idea, but Pressfield has a way of really stating it in a way that motivates and inspires you to get off your arse and do some writing. While, for me, the second half of the book lagged a bit, overall The War of Art is well worth a look for those writers who are looking for a metaphorical kick in their writer-blocked asses. This is a very interesting book and, as far as I have seen, quite unique in the field of books on improving your writing. Brandilyn Collins focuses on using ideas from the world of acting and applying them to writing fiction. 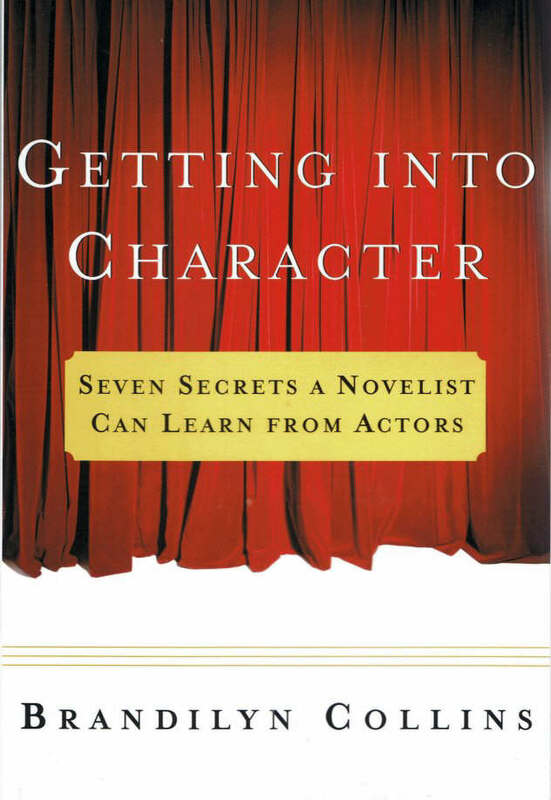 Specifically, she uses characterization methods that actors have used for years to develop memorable characters on stage and in film and translates those ideas into ways fiction writers can create similarly intriguing characters in their novels. Some of the seven secrets she discusses include subtexting, inner rhythm and emotions memory. Collins really delves into useful methods for developing believable and interesting characters. One thing that made this very useful for me is that all the suggestions are so instantly plausible (no doubt as they are tried and true in the acting world and adapted here) and just plain enjoyable to utilize. So there you have it. Eight books on writing that will provide all sorts of reading enjoyment and some great advice and motivation. I suppose I could have found two more to make it an even ten, and for sure there are more than two more great books on writing out there, but I decided to go with the most memorable ones I have read and benefited from. So take the time to check out some of these books or otherwise seek out ways to improve your writing. But above all else, keep hammering away at the keyboard and churning out the words!